The “Institut für Weltkirche und Mission” (IWM) is an academic institute of the German Bishops’ Conference at the Jesuit college Sankt Georgen in Frankfurt/Main, Germany. It was founded in 2009 with the purpose of strengthening the academic reflection on Christian mission and the worldwide Church. The IWM is committed to theological research and teaching that reflects on issues of the worldwide church and its mission as it is carried out in various fields. The notion of “mission” implies a critical dialogue with the history of the Church and, therefore, plays a crucial role in the theological approach of the IWM. Theological research also includes the role of mission in the context of health, education and global migration. 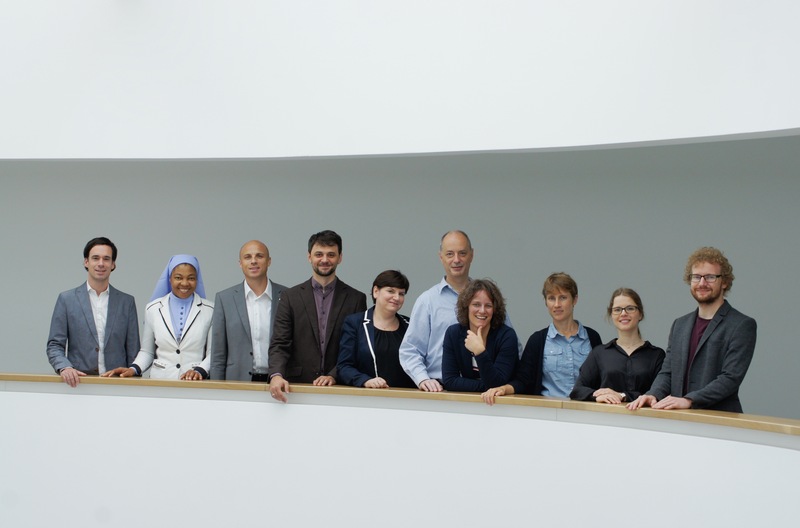 Furthermore, the situation of international Catholic communities in Germany, of contextual theologies, of interreligious and intercultural questions are in the focus of the IWM’s academic work. The IWM cooperates with theological institutions in Europe, Africa, Latin America and Asia. In Germany, it collaborates with the missiological chairs of universities and institutes as well as with Catholic aid organisations and German dioceses’ departments for the global church. The IWM provides an opportunity to encourage the theological research conducted in the area of missiology by providing an international theological forum. The research projects of IWM’s own associates, externally founded projects, symposiums, conferences, college seminars, talks and academic publications each contribute in their way to realise this aspiration.